Philleigh is both a village and parish in Cornwall. This website is here to let everyone know more about our beautiful parish and keep locals and visitors alike up to date with what’s going on here. Philleigh is located inland near the centre of the Roseland Peninsula on the south coast of Cornwall. Being 30 minutes drive from Truro, St Austell, and Falmouth (so long as the King Harry Ferry is running!) we are surprisingly well connected. 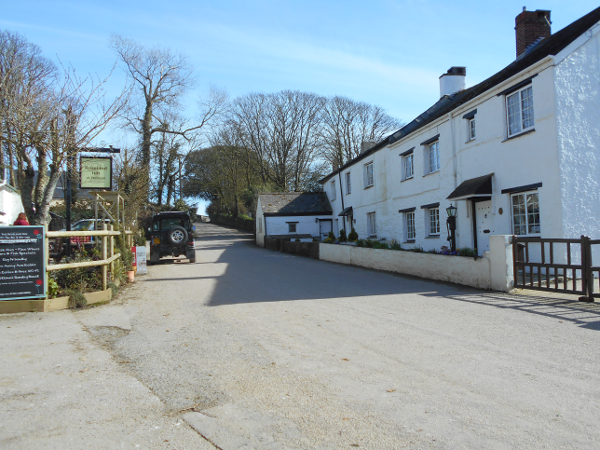 At the heart of the village sits the famous Roseland Inn (aka ‘Philleigh pub’). Surrounded by several traditional Cornish cottages, and the beautiful Roundhouse. A few yards up the hill from the pub is the Church, Community Centre and Grade II listed Queen Anne Glebehouse. In total the village has 4 farms and about 14 further dwellings. So it’s a pretty small village! The parish is also fairly small and sparsely populated. It stretches from the River Fal across to the English Channel at Pendower Beach. As well as Philleigh and White Lanes, the parish also contains the hamlets of Treworthal and Treworlas.